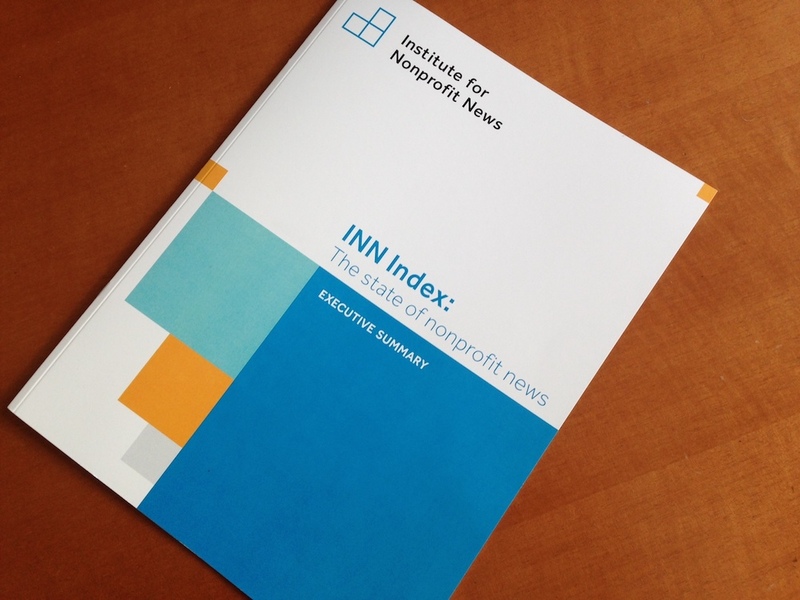 So concludes the Institute for Nonprofit News in its report “INN Index: The state of nonprofit news,” released Oct. 2 at the Craig Newmark Graduate School of Journalism in New York. The study was based on a survey which 149 of INN’s more than 180 members were invited to complete. Responses were received from 88 participants, yielding about 200 data points on each media outlet’s mission, revenue, budgeting, engagement and distribution practices during fiscal year 2017. The study is the most comprehensive such look to date, and offers nonprofits a baseline from which to benchmark future performance. Among the outlets responding, 39 percent said that their primary mission was investigative journalism, while another 23 percent stated that their focus was on explanatory journalism and analysis. A distinct minority, 19 percent, said they offered news and events, while another 19 percent reported a mix of coverage. Many are “filling a gap,” said Michelle McLellan, an independent media expert who designed the study. Single-topic coverage is the fastest-growing segment of nonprofits news, she noted, with a third of the outlets covering subjects such as health, education, environment or justice. 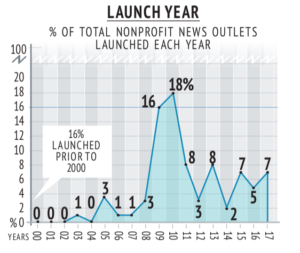 There was a big jump in the creation of nonprofit news outlets in 2009-2010, according to the study. “We saw really good news around revenue,” McLellan said. The report notes that 20 percent of the outlets generated total revenue in 2017 of $2 million or more, and 17 percent generated revenue of $1 million to $2 million. The entire membership of INN is now generating an estimated $325 million to $350 million in annual revenue. Only a few ethnic media outlets are members of INN, but Cross said that the organization is working to recruit more ethnic media. 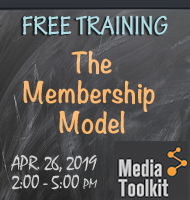 Among the ethnic media members are: Alhambra Source, Borderzine, and Future Media. 08/27/18: On WeChat and More: Does Volunteer Fact-checking Work?